Is there no end to the lengths UKIP will go to smear immigrants? Apparently not. They’ve blamed them for bad weather, traffic jams and, following the Paris shootings, party leader Nigel Farage blamed barbaric acts of terrorism on Europe’s open borders. Speaking at the European Parliament on Monday, Farage sparked yet more outrage when he claimed European governments have some “culpability” for the shooting at satirical magazine Charlie Hebdo and a Jewish supermarket. He was condemned by the other party leaders last week after claiming that the EU’s immigration policy had led to the presence of a “fifth column” in the UK. He continued to claim that by allowing “mass immigration,” minority cultures were “unable to integrate,” and that the authorities have “turned a blind eye” to extremist practices. 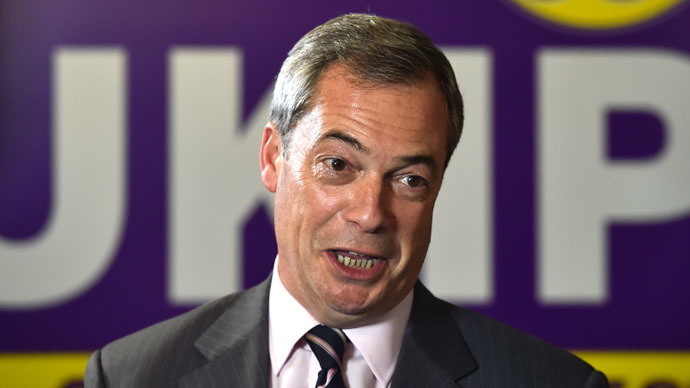 “We’ve allowed preachers of hate to go around saying things that are totally unacceptable,” Farage said. PM David Cameron criticized Farage last week for “inflaming” social tensions, following the attack at the offices of Charlie Hebdo. Cameron said the UKIP leader was wrong to use the shootings to “make political remarks or argument.” Labour Party leader Ed Miliband also weighed into the debate, saying Farage was acting in a divisive manner. “I don't think Nigel Farage or anyone else should be seeking to divide us in this way,” Miliband said. Liberal Democrat leader Nick Clegg told LBC Radio he was “dismayed” at Farage’s attempts to piggyback political arguments on the Paris attack.